Prestashop Pickup at Store module adds a new option to the list of shipping methods in your store. 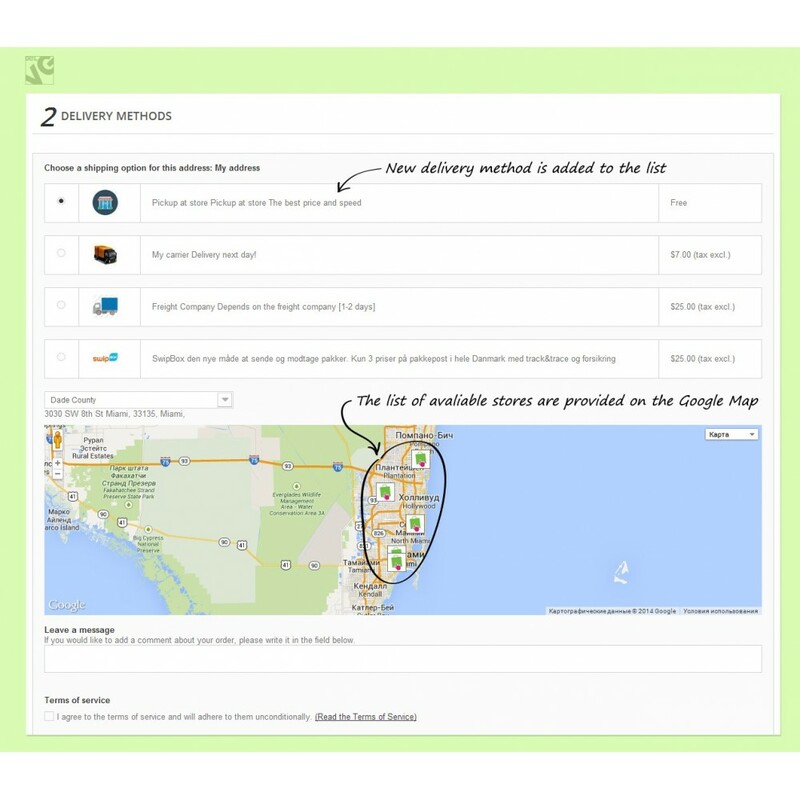 Customers are able to look through the list of your available stores across the Google map and choose the one from where they want to pick up their purchased products. If you are running a countrywide network of shops and retail stores then you will definitely find the Pickup at Store module useful. 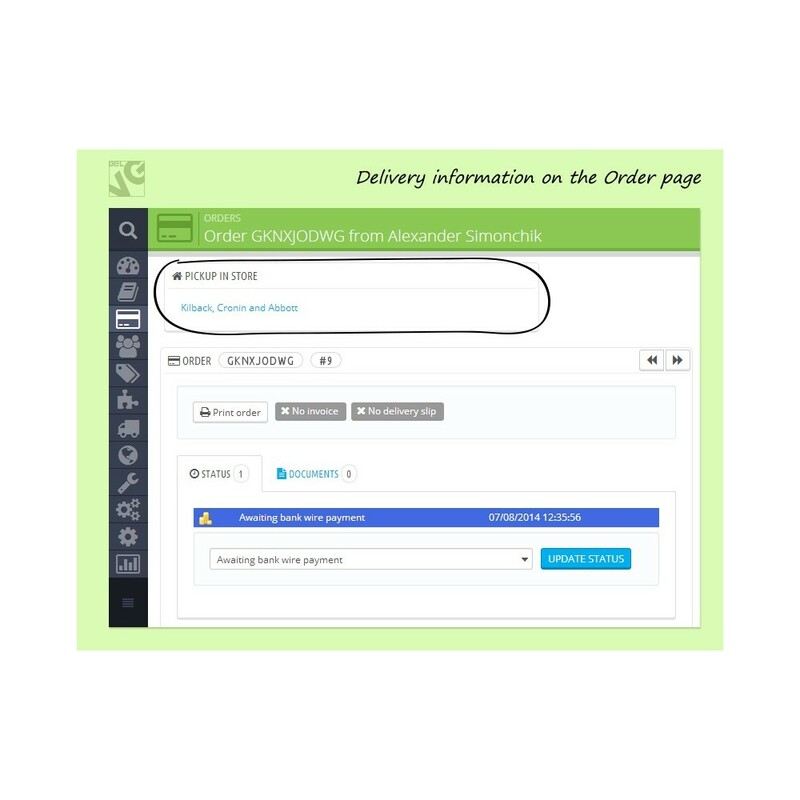 This is a simple solution to let your customers pick up their purchased products personally from any of your stores: once you install the module your customers will be able to select the new delivery method right on the checkout page. The list of available shops will be supplied with Google map which will make it much easier to find and select the closest store in the neighborhood. The module is very simple to install and use and does not require fine-tuning of any settings or preferences. The module adds and displays the list of stores on Google map right on the checkout page.